I really only felt like sharing a picture I just did recently, but I couldn't find just a general thread for posting artwork, so I decided to make this thread and share some of my older stuff with you all as well. If you want to see them in their full size, just click on the image. 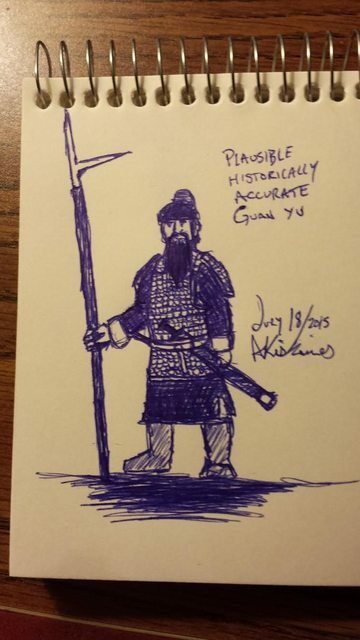 A doodle I just did of a plausible historically accurate depiction of Guan Yu (i.e. in Han/Three Kingdoms style clothing, with 3K style armour, jian, and ji halberd). This is the reason why I actually started this thread. 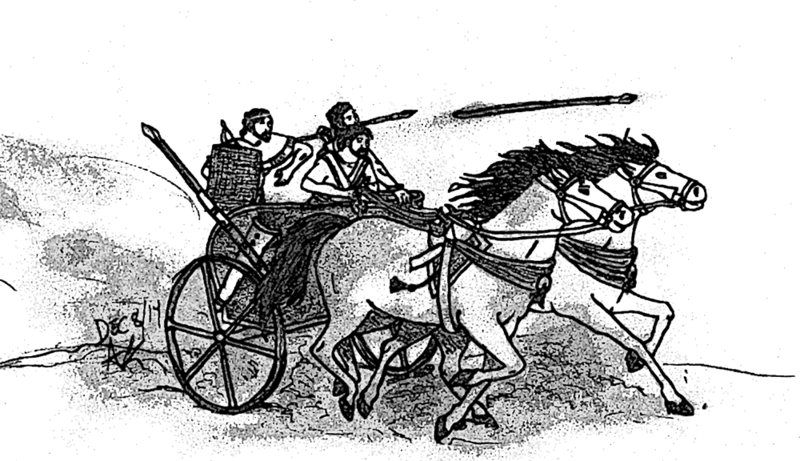 A sketch of a Canaanite chariot. Applied a poster edges filter in Photoshop to make certain elements pop more. 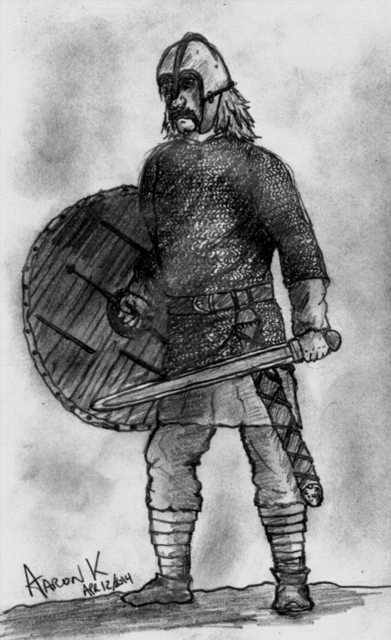 A Norman knight, halftone pattern applied in Photoshop in order to correct a few portions that the scanner failed to pick up. An Anglo-Saxon Thegn, again halftone pattern applied in Photoshop, this time to accentuate certain things so it would appear similar to the pencil sketch. 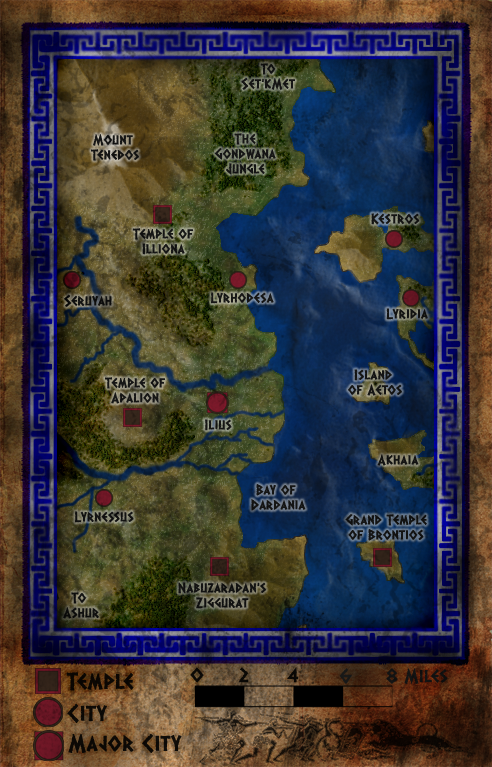 A map I made in Photoshop of a Bronze Age fantasy world. Never got around to using it yet. Maybe one day. 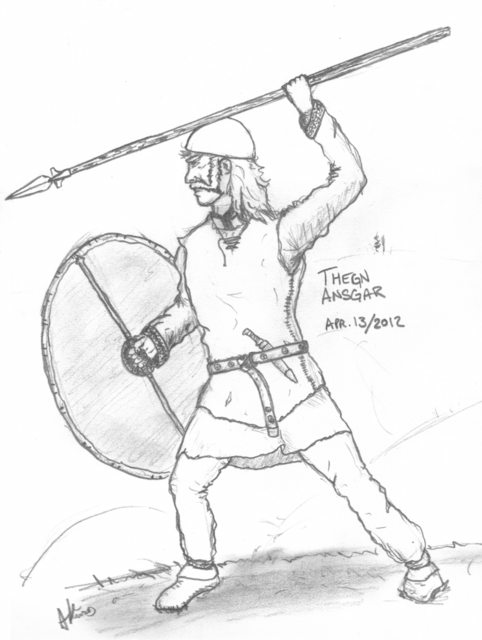 A Viking militiaman, just done as line-art this time. Only thing done digitally was re-sizing the dimensions. 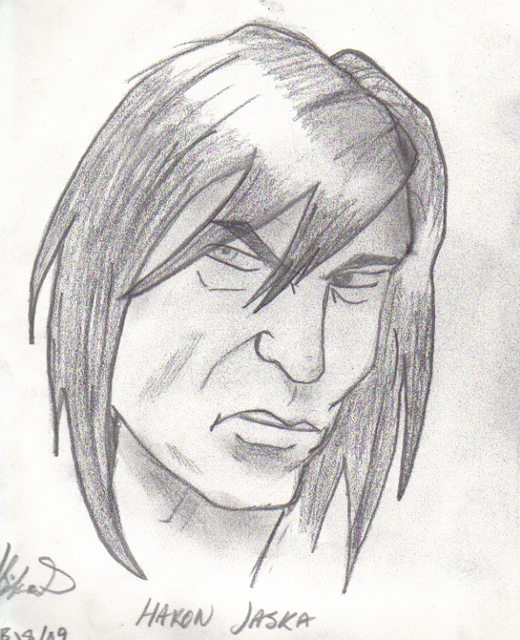 A role playing/short story character named Hakon Jaska, who I modeled after Conan the Barbarian. I liked your plausibly historical Guan Yu when you posted it on FB and I still think it's good! Sun Fin wrote: I liked your plausibly historical Guan Yu when you posted it on FB and I still think it's good! All your stuff is pretty good, Aaron. 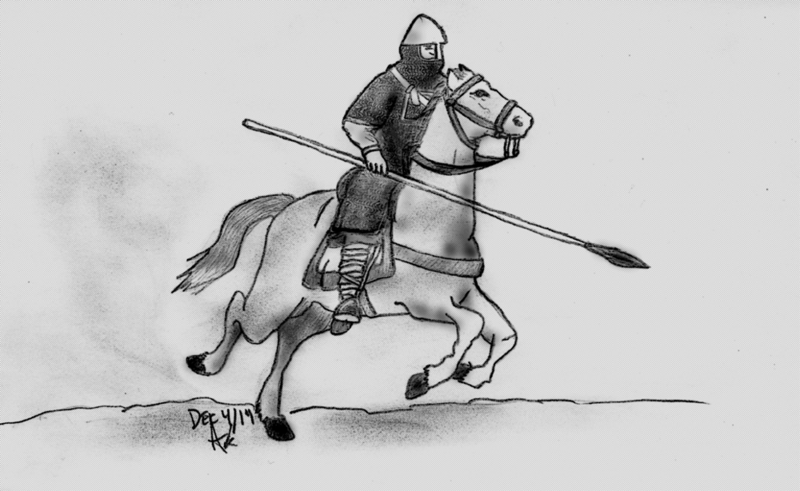 I can't draw at all, so this is really impressive to me. I've often wished I could draw out my tabletop RPG characters, because I usually can't find a picture that's quite right online. I really like art and music, but have little talent in these areas, so I'm always jealous of those who have the ability. It's quite a gift you have! Your map is pretty good. I don't know how much interest you have in map-making in particular, but there's a website I've encountered before called Cartographer's Guild, which is a website dedicated to people's map artwork and the like. The stuff I've seen on there is top-notch, and several prominent members have created maps for board games and the like, so you may be interested. Nice work! I hope you share more in the future. Cartographer's guild is one of my favourite places to go when it comes to maps and mapmaking. I've received a lot of help there from members on previous maps, and I think I might have actually shared the one I did in this thread as well (I did it so long ago I can't actually recall). I do know it's in one of the Cartographer's Guild DeviantArt collections though.